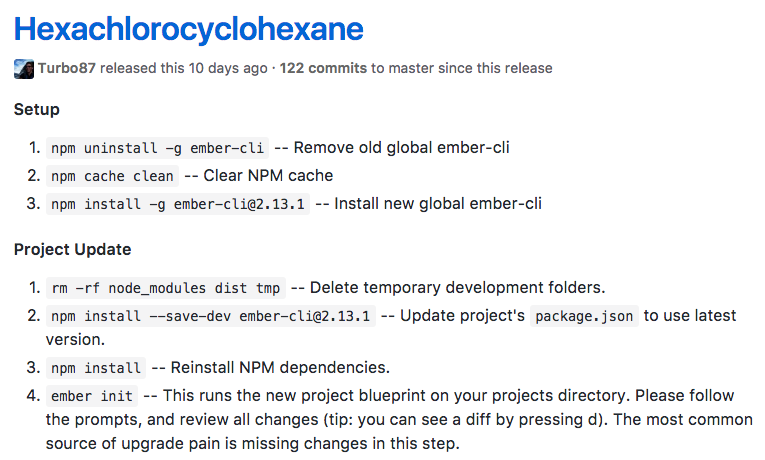 Before we begin I should mention that there are official docs which point to the individual releases with detailed information on how to accomplish an Ember-CLI upgrade. The unfortunate aspect about this command is that it tries to apply the files generated by Ember-CLI to files that are definitely going to be divergent in incompatible ways. 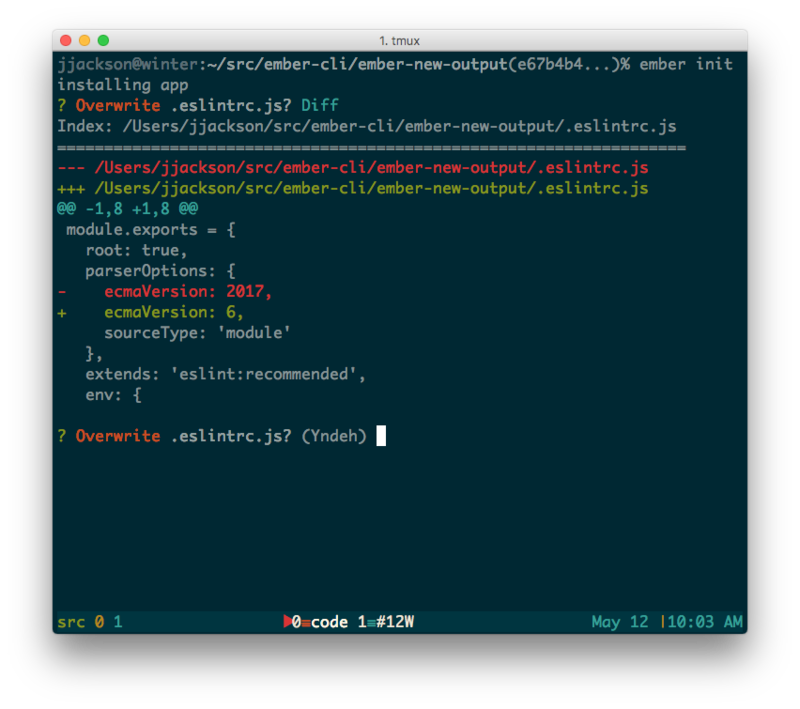 For instance, if something is changed in the app/router.js on upstream ember-cli it will overwrite all of the route definitions you’ve created in your own app/router.js. As a result I (and I assume many others) use this mostly to view the diff. Favoring instead, to split a pane on the left side to view the diff and update the actual files in your favorite editor on the right. You can also apply partial diffs with ember init but I’m apparently bad at getting those edited diffs to apply cleanly. You can get a really nice diff view on GitHub. 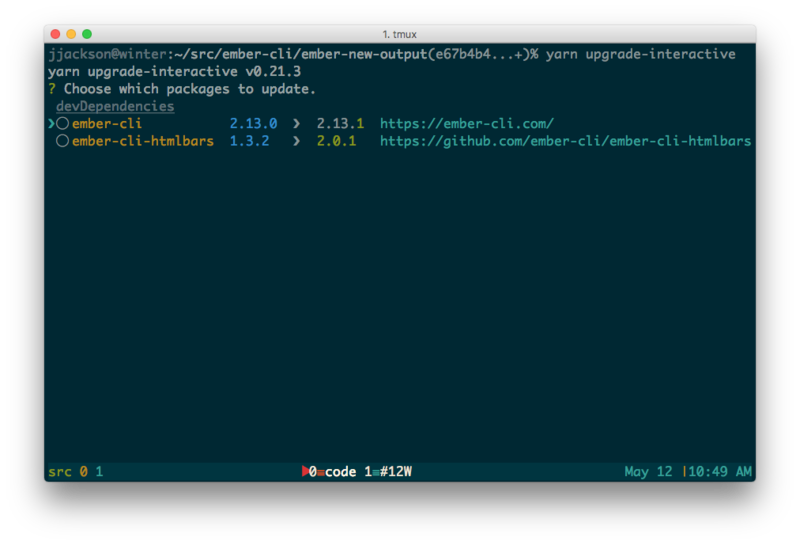 As part of the release process Ember-CLI publishes a tagged release of ember-cli/ember-new-output. And resume your normal upgrade process with a kind of meta view that is really easy to work with. Once you get to the diffing of your package.json there is a neat command that I didn’t know existed until just the other day. Which gives you a great way to find and upgrade your out of date packages with a lot of precision.